I recently stumbled across the book “Network Marketing Success Blueprint: Go Pro in Network Marketing – Build Your Team, Serve Others and Create the Life of Your Dreams” by Kelly Cruze. I was searching for some new network marketing books to read on Amazon and this book had pretty good reviews, so I ordered a copy. I read the book over a period of a few days and really enjoyed it. My favorite part of the book was her advertising ideas. For that section alone, I thought the book was a great value. I learned some really creative ways and places to advertise my business. I thought the book was well written and easy to read. It would benefit any new or experienced network marketer. In the paragraphs below, I want to share some of my favorite Kelly Cruze quotes from her book. They are listed by where I found them in the book. Each quote is in bold and italics. After each quote I will also share my own two cents. # 1 Network marketing is not for the faint at heart nor is it for the lazy procrastinators looking for a quick buck. To make it big in our business, you need to be mentally tough and be willing to work hard. Most lazy people and unmotivated people don’t make it very long in our industry. # 2 Before you even consider what company you want to work for, focus on a product or service that you can get passionate about. If you aren’t passionate about the products or services that you represent it will be very difficult to succeed. You won’t have the conviction or belief when you talk to others. # 3 The rule in any sales position is to count on numbers, not on people. This is a numbers game initially. Once you get people in the business it becomes a relationship game. # 4 Never ever EVER pass judgment about who will be interested. Never count anybody out. After all, the worst thing they can say is “NO.” Show the plan to anyone and everyone and let people decide for themselves if it is something they want to do. You never where you will find your next ACE. # 5 Do not be a salesperson. Successful network marketers take on the role of a teacher. Sponsor and teach. Those are two of the most important words in our industry. # 6 Always be prospecting. Always. Make it a goal to add two to five new prospects to your pipeline every single day. If you don’t have a constant flow of new leads you won’t be in business very long. # 7 Your prospects will not typically volunteer to buy products from you. That is why you need to close sales. Always ask for the sale. # 8 The level of your success in network marketing will be in direct proportion to the follow-up you do with your prospects. If a conversation or sales call ends without a sale do not be discouraged as it can take several follow ups to get a new prospect to buy. The money is in the follow up. Follow up until people die or buy. # 9 Many prospects will say NO without even understanding or knowing what they are rejecting simply because you caught them at a bad time. Timing is everything in this business. You are looking for people who are looking. # 10 There is no quicker way to defeat in network marketing than to be disorganized. Get organized and stay that way. # 11 Remember, network marketing is all about running a marathon, not a sprint. Think of your business in years and decades, not weeks or months. # 12 Much in the same way, you should never ask someone to become a distributor on your team during the first meeting. You need a sponsoring process to walk each prospect through. Most people need minimum seven to ten exposures before they will join your team, if not more. # 13 Outside of training, one of the best things you can do to train your team is actually do the business, recruit new reps and obtain new customers together. The best way to teach someone is to hold their hand and do the activity with them. # 14 You should be prepared to spend at least 15 to 30 days helping a new person come into the industry – training them, supporting them and holding their hand until they feel confident to be able to go off on their own. Your job as a good sponsor is to prepare each person you sponsor for success. Very few people come into our industry with the skills they need to succeed. # 15 Take a look at the attitudes and the bank accounts of the five people you spend the most time with and you will better understand why you are where you are. You are a reflection of your five closest friends. Choose wisely. # 16 You must make a concerted effort to be disciplined to seek knowledge continually. Strive to get better every single day. Be better tomorrow than you were today. Learn something new every single day. # 17 No team will grow and rise above the passion of its leadership. The key to success in this business is leadership. People want to follow a leader. # 18 Your entire downline needs to feel that what you are building is not about power and control. People want to follow someone who has a purpose, good people skills and is a servant leader. This is a volunteer Army and no one has to follow you. Be someone worth following. # 19 Success will be found outside of your comfort zone. Until you leave your comfort zone you won’t reach your goals. If you always do what you’ve always done you will always get what you’ve always gotten. # 21 If you promote your product with fear of hearing NO that means you are going to hear YES a lot less. The only way to get more YES’s is to get more NO’s. Getting NO’s is a normal part of building a successful business. # 22 To succeed in network marketing and in life, you must believe that you are a winner. BELIEF is vital if you want to succeed in anything in life. If you believe you can, you can! If you believe you can’t, you can’t! # 23 The strongest network marketers believe that nothing is impossible and nothing is beyond reach. You must learn to thrive on the challenge and put all obstacles into perspective as an opportunity. Once again, you must be mentally tough and believe in yourself if you want to be successful in our industry. The book was published by Create Space in March 2015. It features 148 pages and comes in soft-cover and Kindle format. The ISBN is 978-1511596732. It is available anywhere books are sold. As of February 2016 the book has 55 reviews on Amazon with an average 4.9 star rating. I couldn’t find anything online or offline about the author. In review, I really enjoyed “Network Marketing Success Blueprint” by Kelly Cruze. 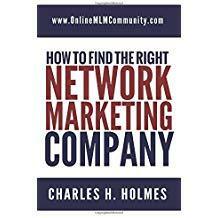 Overall, I give the book 4 of 5 stars and consider it a must read for any new or experienced network marketer. If you’ve read the book before I would love to hear from you. Leave a comment below to tell me your favorite quote listed above or what you liked most about the book. This does sound like it was a great book, and Kelly did a great job marketing her book since it was self published. Not many self published books gain such a high amount of Amazon reviews. I would like to read it on the line of the advertising ideas myself. I believe that almost all her quotes are something we hear all the time, but it is always good to keep hearing them because at some point they will all sink in. Thanks for sharing this review Chuck. I am going to add it to my must read book list. Yes, it is a really good book.